In the latest book in the Legacy of Lancaster trilogy, Forever Amish introduces us to a young woman about to uncover a shocking secret and find an invitation to a new way of living. This is a story of forgiveness, legacies and the ties that bind through generations. Sally Bingham needs some time away to sort through the changes in her life and to rethink her upcoming marriage. Despite her ailing father’s hesitations she takes off for a bed and breakfast in Lancaster County for a weekend away. But her best laid plans leave her in a near collision with a bishop’s buggy and in the home of a mysterious Amish woman named Lizzie. Lizzie introduces her to a different perspective on life and a charming farmhand named Armin. She opens a Pandora’s box that will forever change Sally’s life. I truly fell in love with this novel (I am really starting to become hooked on Amish fiction!). Sally truly does open a Pandora’s box that alters life as she knows it. In a matter of a few chapters her whole life is turned upside down. She has to learn how to forgive, how to accept and more importantly how to move forward. In the end, her ties to her family and the heritage she never knew is what keeps her moving forward giving her the ability to forgive those who have lied to protect her. A truly wonderful story of forgiveness and family. You can find more reviews on Forever Amish on the Litfuse blog tour here. You can purchase a copy of the book here. The latest book in Kate Lloyd‘s Legacy of Lancaster trilogy, Forever Amish, introduces us to a young woman about to uncover a shocking secret and find an invitation to a new way of living. This is a story of forgiveness, legacies, and the ties that bind through generations. Enter today by clicking one of the icons below. But hurry, the giveaway ends on June 29th. Winner will be announced at Kate’s blog on July 1st. Tell your friends via FACEBOOK or TWITTER and increase your chances of winning and be sure to stop by Kate’s blog on July 1st to see if you won! 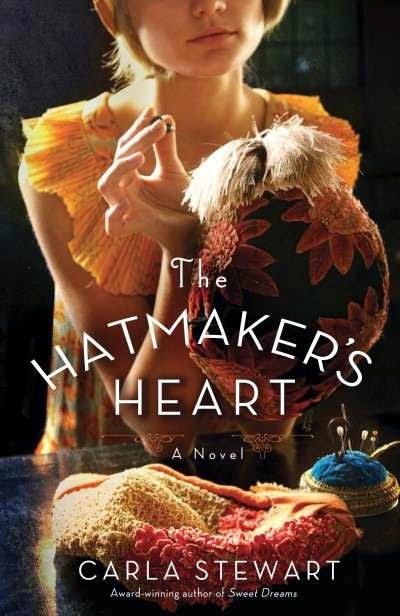 In The Hatmaker’s Heart by Carla Stewart, Nell Marchwold finds bliss in seeing the transformation when someone gets a glimpse in the mirror while wearing one of her creations and feels beautiful. Nell has always strived to create hats that bring out a woman’s best qualities. She knows she’s fortunate to have landed a job as an apprentice designer at the prominent Oscar Fields Millinery in New York City. Yet, when Nell’s fresh designs begin to catch on, her boss holds her back from the limelight, claiming the stammer that she has had since childhood reflects poorly on her and his salon. But it seems that Nell’s gift won’t be hidden by Oscar’s efforts. Soon an up and coming fashion designer is seeking her out as a partner of his 1922 collection. The publicity leads to an opportunity for Nell to make hats in London for a royal wedding. There she sees her childhood friend, Quentin and an unexpected spark kindles between them. But thanks to her success, Oscar is determined to keep her. As her heart tugs in two directions, Nell must decide what she is willing to sacrifice for her dream and what her dream truly is. Nell’s story is fantastic. A young girl, troubled from her past that has left her with a stutter is trying to make her way in America. She finds her call but is constantly put in the back by her male boss. A good reminder of how far women have come from the days when we were not allowed nor thought to be appropriate for women to run businesses. I felt for Nell and kept wanting to guide her and encourage her to stand up for herself. She has so much strength but it is kept hidden inside. A truly lovely story! You can find more reviews on The Hatmaker’s Heart on the Litfuse blog tour here. You can purchase a copy of the book here. Carla Stewart is offering a giveaway on her blog to celebrate The Hatmaker’s Heart – you can enter here. Disclosure: I received a digital copy in order to facilitate this review. All opinions expressed are my own. 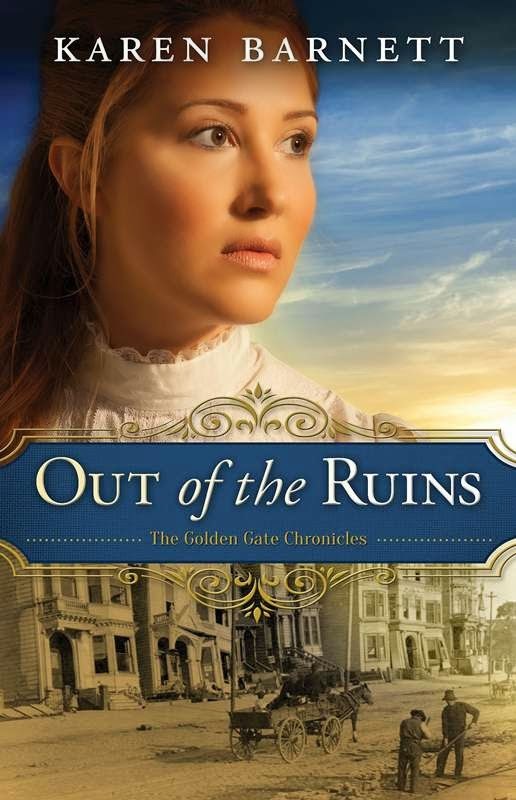 In Out of the Ruins, Abby’s faith in God and her fellow men is challenged when the terrible earthquake hits 1906 San Francisco. While her sister lies on her deathbed, Abby Fischer prays for a miracle. What Abby doesn’t expect however is for God’s answer to come in the form of the handsome Dr. Robert King, whose experimental treatment is risky at best. As they work together toward a cure, Abby’s feelings for Robert become hopelessly entangled. Separated by the tragedy of the mighty San Francisco earthquake, their relationship suddenly takes a back seat to survival. With fires raging throughout the city, Abby fears for her life as she flees alone through burning streets. Where is God now? Will Robert find Abby even as the world burns around them? Or has their love fallen with the ruins of the city? A wonderful story of faith and learning to trust in God. Abby is devastated by her sister’s illness. I can’t even begin to imagine how heart breaking this is for her. She blames everyone but especially God. Her faith wavers. I can’t even begin to imagine the pain and hurt she is feeling and it can be easy to see how she would blame God when we don’t understand why bad things are happening to us. The earthquake and subsequent fire that starts in San Francisco and quickly spreads is devastating. It also brings her closer to God and to her own heart. I felt connected to Abby and I love how her faith grows. You can find more reviews on, Out of the Ruins, on the Litfuse blog tour here. You can purchase a copy of the book here. 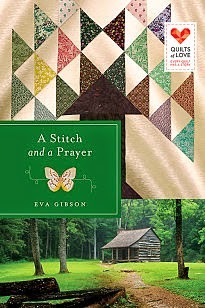 In A Stitch and a Prayer by Eva Gibson a quilt becomes a labour of love for a lonely wife separated from her young husband. After her fiance returns from the Klondike gold rush in 1897, Florence Harms sets about building a new life in her new marriage – even though the lingering effects of an illness have left her weak and vulnerable. The two work tirelessly to clear the land around their Northwest cabin – content with their modest life. But a stranger comes around and Florence suddenly senses a restlessness in Will’s spirit that she had never seen before. When he leaves her with only a note that tells her he will return before their baby’s birth she is devastated and the illness that stiffens her joints returns. Counting down the days until Will walks back through her door, Florence busies herself with a Tree of Life quilt displaying a map of the farm they will call home. Doubt claws at her heart as Florence struggles to believe Will’s promise to return to her. Will her labour of love and Faith in God sustain her as she waits to see her beloved again? A Stitch and a Prayer is a beautiful story of love, faith and community. Florence is devastated when Will leaves but has faith in him and God that he will return in time. Even when the illness ravages her body she still carries on – carrying for the baby and using the quilt to help with her faith. Her loved ones around her rally around her to protect her, to help her and to love and guide her. Her strength is unbreakable even though her body is fragile and vulnerable. I loved every moment of this story. You can find more reviews of A Stitch and a Prayer on the Litfuse Blog tour here. If you haven’t noticed already I am really big on learning and even more so on how to make clean foods at home for our family to enjoy. A big part of this is freezing and preserving food during their in seasons (talk about a money saver too!). 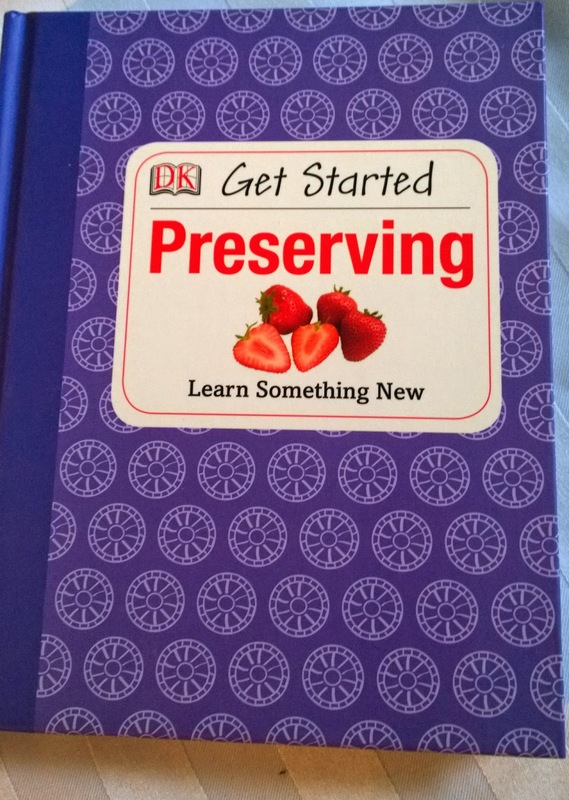 DKCanada’s Get Started Preserving was the perfect selection for me in their May Boutique. It had everything I could possibly need to start preserving and to expand my knowledge as my expertise grows. The book starts off with simple freezing and preserving techniques and then develops on this basic knowledge. 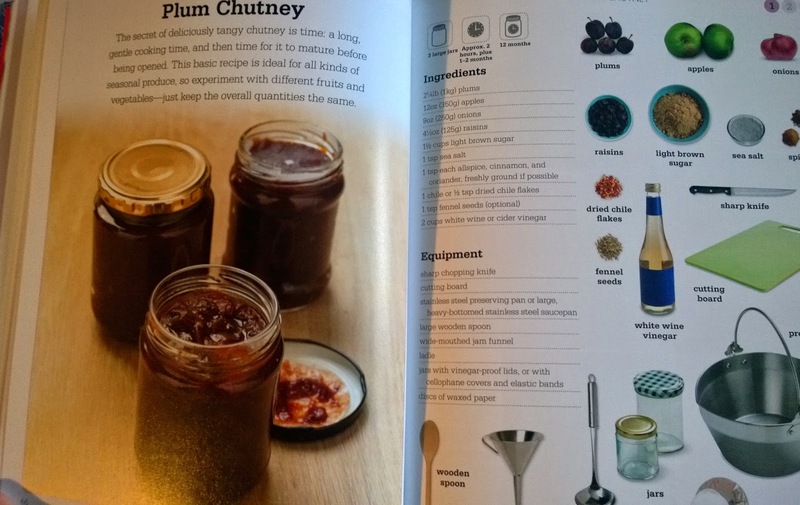 Get Started Preserving also contained numerous recipes to help get you started on preserving your own delicious jams, sauces and more! Ever since we moved into our new home I have had dreams of creating a fruit cellar full of preserved items and I am now on my way there. 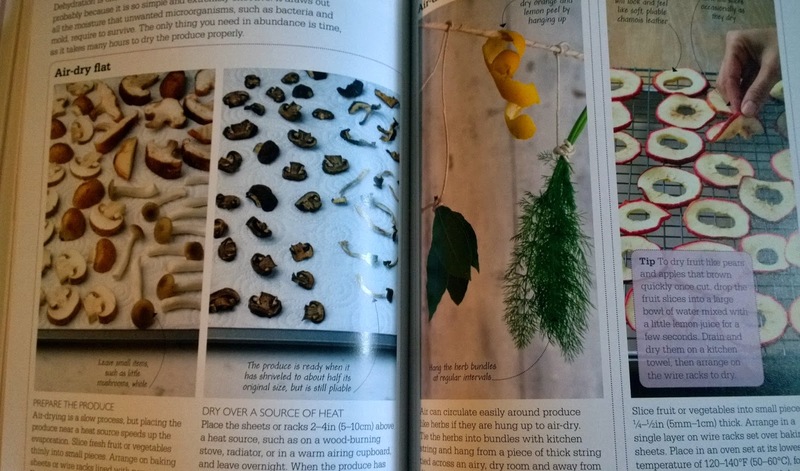 The book also included helpful tips, tricks as well as very specific rules to prevent contamination. 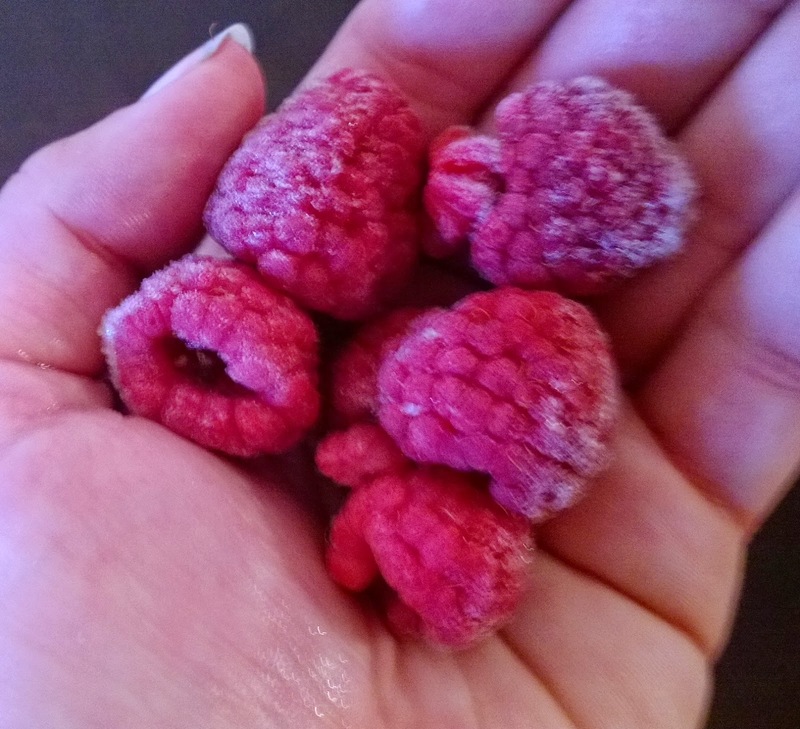 As berries become more in season and on sale more often in store, I began by freezing my first batch of raspberries! I have to say I think they turned out perfectly and will be the perfect addition in my morning smoothies. 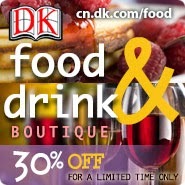 Have you checked out the boutique yet at DKCanada? Don’t miss out on all of their fabulous sales! Check it out now. Disclosure: I received the above featured book free of charge in order to facilitate this review. All opinions expressed are my own.